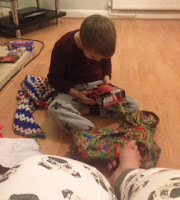 Christmas morning commenced with an excited 6 year old creeping down the stairs and 5 am. I was already up as I get really excited at Christmas. He wanted to open his presents and I reached a compromise agreement that he could open his stocking presents but the rest had to wait until dad awoke. After present opening I walked to church and attended morning service. On the way I saw two women and a white dog acting suspiciously near a wheelie bin. I called out "are you ok?" They shouted back "we are homeless". So I went and said hello. One lady had been homeless but had a flat, the other sofa surfed. What happened next chilled me to my bone "we are climbing in bins looking for toys for children. The children of crack addicts get forgotten as their parents won't access to the free schemes". These women had got up to search for toys. One of the women had a tyrannosaurus rex in her pocket. Turns out the scary white dog had no teeth. After church I returned home. 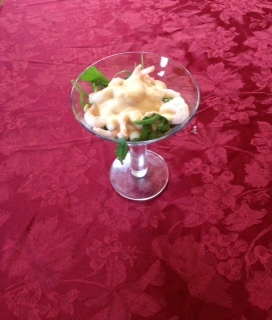 My husband requested prawn cocktail. I kind of knew the sauce recipe but tweeted on the #joinin hashtag for ideas. I got it made with some sririchacha sauce for extra zing. I prepared the rest of the meal and tidied up a bit. As I was busy in the kitchen I heard a sound. I turned around and was immediately terrified as to what I saw. I immediately Instragrammed it as I wasn't sure what or who it was. It transpires it was Kylo Ren from something called "The Force Awakens" I have lived to tell the tale. In order to give thanks for my lucky escape from the clutches of Kylo Ren I attended Evensong. I was the only person there! Apart from the priest, so we did it together. It was incredibly moving. On the way home I saw a family in the rain adjusting the cover on their pushchair. I spoke to them. It turns out they are Syrian refugees. I smiled and welcomed them to the UK. I explained I was from Australia and I had moved to escape bad memories back home. He said "You are refugee just like me." I asked him if they were Muslim. (only because if we become friends and I cook for them I need to know to cook fish or buy halal meat), he said "we are Muslim but not Isis". I felt sick. This family have been walking around thinking we all think Syrians are Isis. My dear God. I said emphatically "You can't be ISIS and Muslim it's impossible. You believe the ten commandments just as we do. Murder is forbidden in both our religions, which have so much in common". We exchanged pleasantries and they said "Merry Christmas". I walked home. I started to hear footsteps. They were walking my way. I insisted they come and see where I live. I opened the door and said to my husband "look what followed me home". I had previously rung him to tell him what had happened. He welcomed this family, who had to go home or we would have invited them in. Joseph was upset as he was dying to play with the little boy and teach him about Kylo Ren. I will help this family to have their first English friends. I will help them assimilate. I am so blessed to have found this country and I have the best life ever. Bring on the New Year!!!!! Bring it on I say!!!! I have lost a considerable amount of weight this year, and have just sorted yet another bag of clothes for the charity shop! That's my sixth bin bag of clothes this year. I set a specific goal to be in a size 16 dress for Christmas. I was wearing a size 22-24 at the beginning of the year! My wardrobe now contains all size 16 and size 18 dresses, with the odd size 14 top starting to sneak in there too. And I've done it without counting a single calorie, point or syn, I haven't joined a gym, and I have had fun and made new friends in the process! I know many of you have tried slimpods now, and some of you have had success perhaps for some of you it hasn't "clicked" yet. With slimpods I think the main key is consistency. You need to listen every day. I know the team recommend evenings, but I've been known to use them in the morning before my feet touch the floor to set me up for the day. Whenever I feel a "wobble" I listen to a slimpod. I intend to do the same thing over Christmas. I am delighted that I can give you a free slimpod to help you over Christmas. It doesn't matter if you haven't used them before. I have started listening to this already and with just over two weeks to go until Christmas I am confident my good works will continue even in this season of excess. Christmas, of course, shouldn't be about food and drink exclusively although it is part of it. Christmas is so much bigger and brighter than that! I do hope you will take the opportunity to try your obligation free slimpod free of charge, and see how it works for you! Remember a slimpod is for life, not just for Christmas! I became poorly a few weeks ago. It's anxiety and I can't go into great details about the causation suffice to say I have had anxiety issues throughout my life however I have never experienced anything as intense as this. A psychiatrist at the hospital felt an inpatient stay would be appropriate so I was admitted. 1. You have no idea how long you will be there. Just like when your baby is admitted it's only best guess how long your stay will be. For procedures like hips, knees, even heart surgery there are TLOS (target length of stay) guidelines and generally you can plot how long your stay will be. 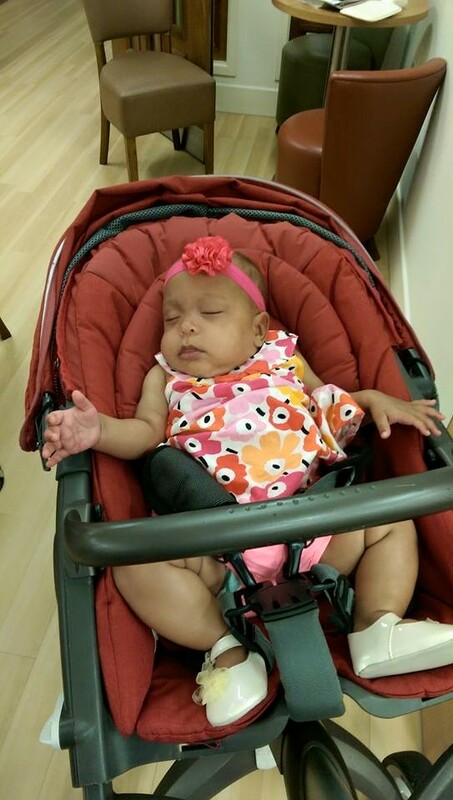 For NICU babies and psychiatric inpatients the guidelines are much broader and more variable. When Joseph was on the ward what I wanted more than anything was to take him for a walk in a pram. It was impossible So to with my stay on the ward. I was admitted on a Friday and grand round wasn't until Tuesday and until then I was not permitted to leave the ward (although I was there as an informal patient not sectioned). 3. You discover the NHS is not a 7 day a week, 24 hour a day service. I hate admitting that Jeremy Hunt is right. Although doctors and nurses work every hour, many services do not exist at weekends, things like Occupational Therapy do not happen at weekends. Medication reviews can't really happen at weekends. If anything goes wrong staff need to be brought in. Weekends feel unsafe, both in NICU and psychiatric care. I was often told that things on NICU couldn't happen due to budgets, such as access to donated breast milk, even access for kangaroo care. It was the same on the unit. Our psychiatric unit had a well equipped gym, but no staff to supervise it so it was locked and unable to be used. We had a great OT room equipped with crafts only open 90 minutes a day due to staffing. And that was weekdays. On NICU I found a great camaraderie in the trenches. We all supported one another, the same is true of psychiatric care. I arrived late one Friday night, there was no food, all the patients rallied around to ensure I had food, they brought me books and hugs. On the Sunday when I was desperate for an apple and there were none to be found, a patient brought me two of his. On Tuesday we had the grand round, I was expecting to get my leave plan allowing me time off the ward, instead I was told abruptly I was going home. The same happened with Joseph, discharged, on a Tuesday, after 10 and a half weeks, 3 less than we were expecting. 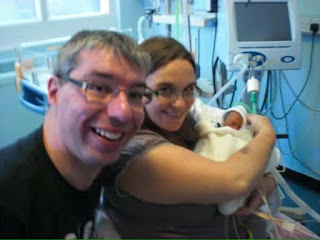 We had a lovely nurse when Joseph was discharged but once he reached his due date that was it. I was discharged to the home treatment team. I wasn't seen until the Sunday and they saw me and then discharged me from home treatment immediately. I had gone from being poorly enough to a section being suggested to being well enough to have no ongoing treatment. It brought back memories of being mum to baby only just 5lb, with a long NICU history, with very little support. Like my NICU stay, often memories pop up in my day to day life and in my dreams. I am scared of my experiences and also intrigued by them. Fortunately my stay this time was 4 days not 76 so hopefully the processing won't take long. Initially when I first saw the NICU I thought "I can't do this, not weeks and weeks of it" but quickly fell into a routine and when I left felt a bit bereft. The psychiatric unit was the same, I went from "No I can't stay here" to "yep this works for me" within a day. I met the best staff during my stay, people who do this job because they are passionate about mental well being, just as neonatal staff are passionate about baby well being and families. I have no desire to return as a patient to either setting! This is the "camp" of my new friend Colin. I try to visit him most days. I buy him soup as that's what he likes the most. He gets given so much food that he usually ends up dispersing it amongst the other homeless. Colin doesn't use illicit drugs or drink. I think he must smoke though I have never seen him smoke but his hands look like smoker's hands. Colin lost his job as a haridresser a few years ago due to failing eyesight. He lived in rented accommodation that he kept his rent up on, and in August his place sold to a new owner who promptly ejected him and his friends, Colin had nowhere to go. He does manage to sofa surf most nights but not all. Anyway I left my bags with him the other day as I popped into the bakery to get his soup. This well to do woman stopped me. "You are brave" she said. I looked at her with suspicion. "You left your bags with that um er, you know um"
I smiled "that's my friend actually". She frowned "he went through your bags as soon as your back was turned". I rolled my eyes "I don't think so dear". She reached for my arm "he did I swear"
"Oh he got up did he, he doesn't normally"
She started to flounder a little. I snapped a little "he has bags of his own next to him, he was reaching into his for some bread as he has loads and wanted some to have with his soup. If he has taken anything out of mine it's either Christmas cards or tampons, so if you don't mind would you let me get on with it?" Colin has retinopathy. He has fallen through the gaps and I'm trying to get him help. My MP David Nuttall is on the case so hopefully he knows of a way to help him get secure housing. In the mean time I can't really afford to buy him soup every day. So I unearthed my soup flask and made him some. I will visit him every day until he finds a home. I hope this is sooner rather than later, I can't bear to see him alone at Christmas. With regard to Mr Johnson we will of course be happy to help him. I have asked my Senior Caseworker Miss Nabila Afilal to contact you. With regard to Mr Johnson’s eyesight problem I will see if the Bury Society for Blind and Partially Sighted people are able to provide help as well. Our lovely afternoon at The Clarence, Silver Street People's Republic of Bury. So yesterday Joseph and I decided to go and see if we could find Father Christmas. I will blog more about our day later. We decided to go and find cake. I suggested we try The Clarence . I had heard they do coffee and cake so I thought we should give it a go. I did intend The Clarence to be a much awaited date venue with the husband but Joseph pipped him at the post. Well Joseph was initially entranced by the busy Clarence and even at 3 in the afternoon there were only two tables left. We took a window seat. "I will absolutely not have coffee and cake in a pub" said Joseph. We had already ordered. However coffee and cake for too is the princely sum of £7. No not each. £7 for two. £3.50. No one could accuse The Clarence of not being good value for money. Things went wrong initially when the waitress said "we don't do chocolate cake, only chocolate and orange" They had Manchester Tart cake so I ordered that and chocolate and orange, hoping that one of those would suit sir. "I don't want American cake". Said my darling companion. I looked at him confused. "The Americans are always adding rubbish to chocolate cake". Okaaaaay. I replied quickly "you don't get more English than Manchester tart cake". Joseph was fractious and all the patrons and staff jollied him along. This look is "I really didn't want to like this place". Then the cakes arrived. To be honest mine was ordinary (the chocolate orange) but still fine. But the Manchester Tart Cake was heaven. Joseph shared! I was shocked as his first full funny sentence at not quite 3 was "sharing is for toys not food". No trip for afternoon tea is complete without the obligatory trip to the toilets. "Mummy this sink looks Irish". How does he know this is called a Belfast sink. We have never spoken about Ireland. Joseph adored the tiles, and said "these are amazing" I have a tile fetish and adored them too. He even liked the chair. Joseph's hot chocolate was too hot, and so they bought him a little bottle of milk which he loved. I was happy as I got a lovely natter with my new friend Eiriann and her husband and son. This picture doesn't do this lovely family justice. She looked much more stylish than I did with an 8 month old. She reminded me very much of Leigh. On the way out, Joseph spotted "the moose". He looked intrigued and said "who shot the moose?" I replied that the moose died of old age, he was in fact the oldest deer in Scotland and God had called him to take care of all the baby deer taken too soon. Joseph accepted this without question. The Clarence is a cosy traditional pub with a modern twist. The service was exemplary. The prices just so affordable, it had a beautiful atmosphere. I will be going again for sure. Clearly this isn't sponsored content, we fell in the door and were met with kindness and good food. In !992 at the tender age of 20 I went on my first overseas trip to Fiji! This picture belongs to an important brother (spiritual) of mine, Brian. You see, digital wasn't a thing back in 1992. I did take photos but they are in Tasmania in mum's shed! I loved my trip but it was so very hard in lots of ways. In Fiji everyone says "Bula Vinaka". Simply Bula means hello. It also means welcome. "Ni sa Bula Vinaka" a very warm welcome to you, is the full sentence but it's simplified to Bula or Bula Vinaka. It's said as punctuation, as greeting, as a blessing. Bula Vinaka is ALWAYS said with a smile! A Fiji smile. In Fiji time goes backwards. It's not a unique concept, Greece and Italy do the same. The past, heritage, your ancestors are more important than what is now or what is to come. It's really hard to get used to. I remember my dear friend Amos saying "I have applied for a job in Fiji! I found out whether I have it or not on Friday". I replied "which one". He sounded confused "well this coming one of course" I smiled wryly. He found out he didn't get it, on a Friday, some weeks afterwards. I wouldn't have had the courage to go to Fiji without Amos' encouragement, prayers and let's face it, money. I cleaned his house, sold his junk in a garage sale, cleaned his car. He admonished me for the poor job I did with his tyres. Funny the things you remember. In Fiji I went with a group of students to do missions work. 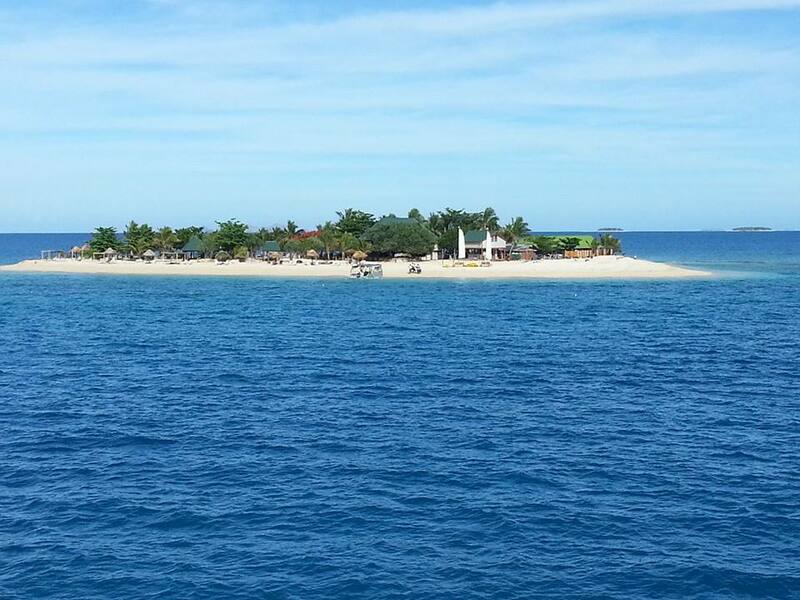 I will share more of Fiji in later posts but here is the point of Bula Vinaka. When I was in hospital recently in the psychiatric unit I longed for activities. Admitted on a Friday night I was dismayed to find out that there were no activities were scheduled til the Monday. The first activity was craft! Hooray. I went with my pens and the lovely OT assistant S said "no you have to do our activities!" I smiled and said "what is it today?" And the reply was glueing and sticking. I rolled my eyes and said "you mean decoupage?" S asked "what is decoupage?" The nurse in the room said "posh word for glueing and sticking". I growled "adult word". Anyway I really enjoyed the activity and the banter. S explained she had been to Australia once as she had been home. "Where is home?" I asked. "Fiji" she replied. Her dad is Fijian. "Ah Bula! Bula Vinaka!" I thought she was going to faint. "Tulo" I gasped quickly. It means "I'm sorry or excuse me. You must never touch a Fijian's hair. Fijian children you can if you have to but you must say "Tulo"
Then I said "senga na lenga" which means all sots. "No worries" "It will be alright" "chill out man" "it's ok". S said no one ever speaks Fijian to her except her dad and uncle and certainly not a patient. I felt so honoured to have this photographic memory. Although it's an aural one rather than visual sadly. So I say to you this Sunday "Bula Vinaka" "Senga na lenga"
Once you hear this as Fiji there is no going back. I am not going to go through the technics of the Junior Doctors strike action or bombard you with links. I would urge you to follow Junior Doctors on Twitter. Many of my Twitter friends are doctors and I love them to bits. Junior Doctors are the absolute backbone of the NHS alongside all the other unsung heroes. 1. This post about a lovely junior doctor who assisted in my C section. 4. The doctor who told me I didn't have a heart problem I had a head problem and who I made refer me to the psychiatric team. 5. The junior doctor who apologised for being a junior doctor not a consultant and listened to my mental health history with kindness. 6. The junior doctor on the locked ward who asked me about my bipolar diagnosis. In horror I said "I didn't know I had bipolar, are you sure?" He smiled and said "oops I was reading someone else's notes I am "only" a junior. 7. The junior doctor on the ward, different from this one, who listened to me when I was in distress. I have hundreds of stories about junior doctors. 1. They are passionate. Haven't been in the system long enough to become jaded. 2. They have recent clinical skills and for the most part haven't learned bad practice. 4. For the hours and responsibility they have they are paid peanuts but are certainly not monkeys. Please don't allow them to be screwed they deserve so much more. The fact patient safety could be jeopardised is a reason to listen. Do not be alarmed. A week ago I was almost sectioned under section 2 of the Mental Health Act. 2 doctors recommended it on the basis I was presenting with bipolar like symptoms. I met people with bipolar on the ward and can totally see why they thought this. I will one day explain more but for now read this funny story. "Hi just to explain I am a social worker. My role is to be the final say in the process of having you sectioned. If I disagree with the doctors then you won't be sectioned", said the kind faced man in front of me. My dear friend Becky who has been by my side since the beginning of the decline of my mental health 6 years ago must have been so frightened yet she didn't show it. He went on "if you are admitted voluntarily to Rochdale what will you do?" 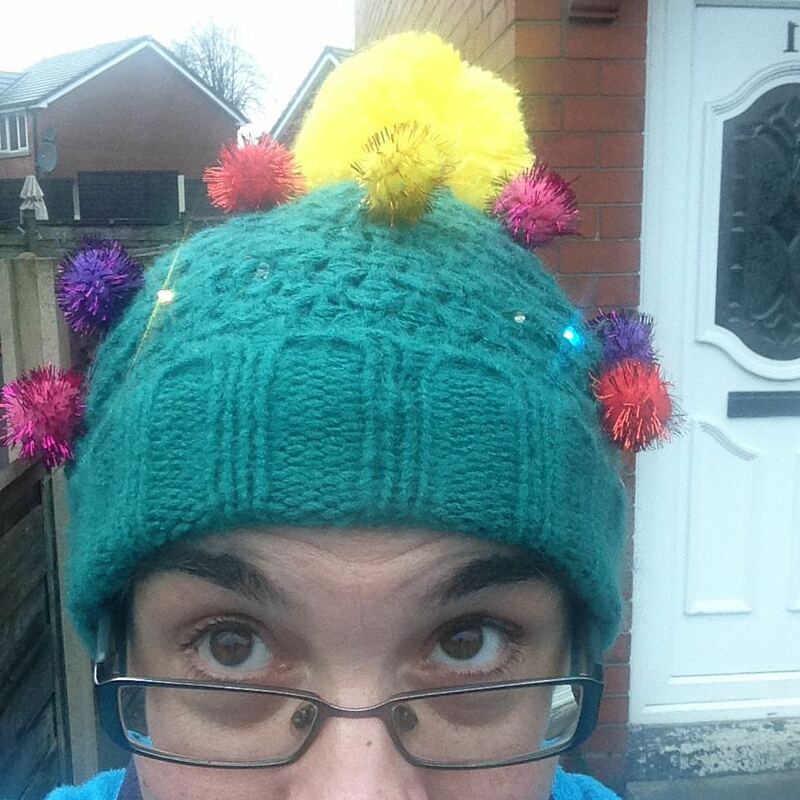 I kind of managed a smile "behave as though I am sectioned, I will comply. I won't like it but I would prefer to go voluntarily so it shows I am compliant and happy to go. Please give me that dignity"
He looked quite stern "You have to comply, you have no choice. If you abscond, although you have the right to leave at any time, you will be sectioned. I don't think you belong in hospital but I have no choice". I smiled and said "I am a woman of principle and of my word. Just let me go of my own accord". "It won't be nice, you will miss your family" he said. "I am pretending it's an all inclusive holiday. I have been in units as a friend and advocate but never a patient. There'll be crafts, meals, friends, baths, sleep and peace. Ok Rochdale isn't in the top 1000 holiday destinations, but I am sure it will be ok". He proceeded to tell me he dissented and I would be going of my own accord. Becky and I were to travel in his car. He hadn't organised the car, we stood in the carpark in the rain as he sorted his car out. Then we got in and drove in tension, I hate tension. "Excuse me" I timidly spoke. "May we have some music?" "Of course!" replied the social worker. He put on radio 2. "Um, not being funny but can we do better than radio 2? Radio 6?" I asked. "I have a CD here not sure what it is though", the music filled the car. Nirvana, Come as You Are. I felt panic "Do you really think this is suitable, let's go back to radio 2 shall we?" "Why, don't you like Nirvana?" He asked. "Of course they are ace, but Kurt Cobain committed suicide! It's hardly appropriate!" "But you aren't suicidal are you?" said the social worker worriedly, no doubt thinking "oh crap I should have gone with the section". Calmly I said "of course not but Rochdale is 30 minutes away, and after that length of time listening to Nirvana I could well be suicidal!" Even in that situation my humour sustained me. There were many lovely and funny moments whilst I was in hospital. I would love to share them with you. Next post is Bula Vanaka! Like a lot of women, my relationship with my mum is sometimes a little stormy. We love each other deeply but at times we clash a bit. And that's ok, it's not unique it is what it is. So mum if you are reading this I love you very much, storms and all. My dad was an anchor for me all my life. Quiet and contemplative, funny and quick witted. Gentle and caring to a fault. My dad always had an answer especially with humans. He loved children, just adored them and they loved him too. 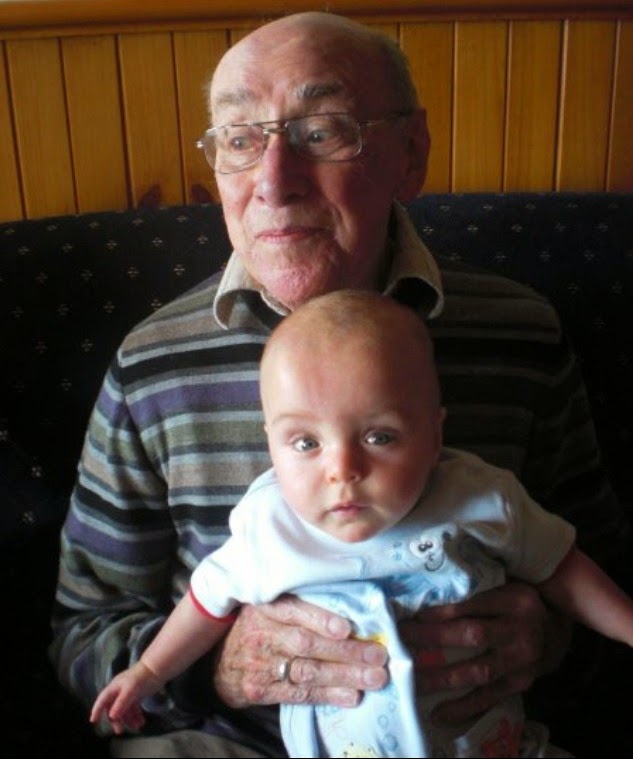 My favourite pictures of dad are the ones of him with me when I was little, and the ones with Joseph. 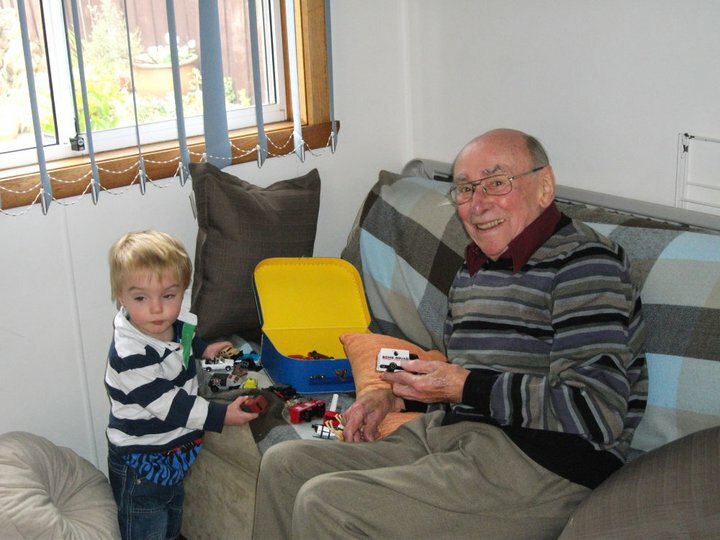 Even when he was frail he would play cars or watch In the Night Garden with Joseph. They are such precious memories. When I announced my rather surprise pregnancy my mum was a bit shocked. However my dad took it all in his stride and with typical Bob-ness said "congratulations we are delighted! We don't care what it is, as long as it's healthy and as long as it's a boy" Dad longed for a grandson. So when Joseph was born I breathed a sigh of relief. I had kept half of the bargain. This photo was taken many years before the one above. I am struck by how similar they are. Joseph had a huge sense of wonder at his first "selfie" taken before the term was in the Oxford English Dictionary. Dad had the same when I took that in the last moments of our last visit. These men make me feel the same. Dad always made me feel like a good daughter, dependable, loving and kind (even though at times I could be very difficult). Joseph makes me feel like a good mum. 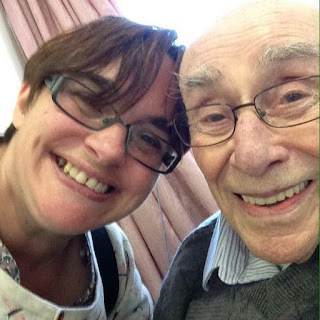 I loved being dad's daughter, and I love being Joseph's mum. I think, rather than dad's "selfishness" at wanting a grandson to balance out his 2 beloved grand daughters that my sister made (she then stole my thunder and produced a boy soon after Joseph was born) dad knew I needed a son. Joseph has restored my faith in men (along with my husband) He is such a good man. During my recent period of sadness he said to me "it's one of those women things isn't it, I'll just hug you until it gets better". Then when I dropped him off at school he said "if you get sad make a cup of coffee". He then wandered off to his line and stood with his friends, turned around and shouted "TEA! Mummy it's tea in crisis not coffee. If you feel sad you need to make a cup of tea, not coffee, ok!" That is so Bob like. My dad could have well said the same thing. Happy birthday dad and thank you for ensuring I had a son, my anchor. The Sunday in November that we stop and remember those who fought so that we may have freedom. I don't wear a poppy. Before you unfriend me, slate me or defame me this is why. I am Australian. In Australia we don't do the poppy as much. For Australians it's rosemary. Those paper poppies, I buy one every year. Well I pay for one every year but I don't wear one. Poppies fade, they fall off, they get lost. When I see people wear poppies I feel pride, when I wear one myself it feels wrong. A spring of rosemary on my collar, like the diggers in Australia, that to me is remembrance. For rosemary in ancient literature signifies remembrance, fidelity. With rosemary you know where you are. It is evergreen, it is strong, it is powerful. It brings to mind lamb roasts, warm kitchens, solid tradition. You see those brave men that landed at Gallipolli, who were gunned down so quickly by the enemy, who were lambs to the slaughter, fought not over desert or rocks, but the wild rosemary growing over the banks and hills around Gallipolli Bay. The braver still regiment of Lancashire Fusiliers who rescued the survivors did the same. You see I do not wear a poppy, or stop the world for Remembrance Sunday for one key reason. My dad risked his life for mine before I was born, before he moved to Australia, before he met my mother. My dad enlisted in the army and then the Royal Navy. He bravely fought, though rarely spoke about it, and his knowledge of war history was second to none. He was a scholar. I have a rosemary bush by my front door and every morning I say a silent prayer for the servicemen and women of yesterday and today. 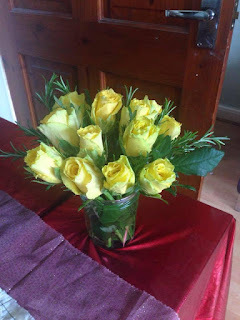 On my Day of the Dead celebrations last week I had yellow roses, as they were the flowers that dad had at his last meal with me last year, before he died, with lots of rosemary from my garden to signify his own sacrifices in war. I remember our war dead and our living dead every day. I give thanks for the men and women at home and abroad, for those who serve, those who come back and those who have fractured minds and hearts as a result of combat. Perhaps because I have "the digger's disease" PTSD it makes me more aware of what it must be like to live with the horrors of war inhabiting your head every minute of every day. Maybe because I could have not been here had Hitler's men (or Hirohito's for that matter) killed my father. Maybe because I lived with my dad's memory and legacy I feel that affinity every day. For me Remembrance Sunday is important, but it is important to remember every day. 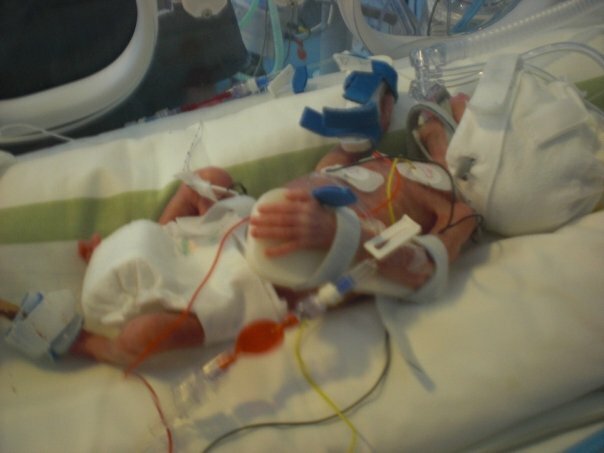 It's World Prematurity Awareness Month culminating in World Prematurity Day on November 17th. I've been involved in the day since it's inauguration and it's a very special and emotional time for me still. I've met so many amazing people due to Joseph's birth, and we all share something in common. A unique sadness, that our pregnancies were cut short, changed into a medical emergency. Our first memories of our babies weren't ones we had planned or expected. For many of us they felt unique to us until the realisation that actually many people all go through the same thing. 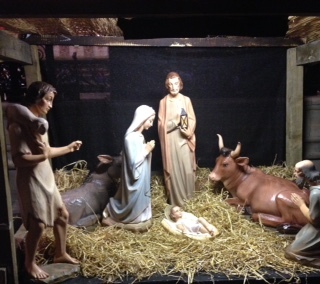 But what I am realising is that we've also experienced a miracle and joy, but some have had that cut short. The uncertainty of it all is something very difficult to understand and to live with. I know I have been diagnosed as having PTSD but I actually think it's something else. Post Traumatic Sadness Disorder. When look at Joseph's pictures I feel a sadness as well as elation and joy. I feel sad when I look at pictures like this. I can see his ribs, his tiny legs, his fingers. So frail and tiny. That's the smallest nappy made for babies, and it's almost down to his toes. But then contrast it with this. Our little man just 4 days old, breathing on his own for a little while, out for a cuddle. He made the cutest little squeaky noises. We couldn't stop smiling, and then I left the room once he was back in the incubator and cried. I cried and cried. I was happy, but I was also desperately sad. That 7 minute cuddle was all I had had in 4 days and all I would get for many more weeks to come. 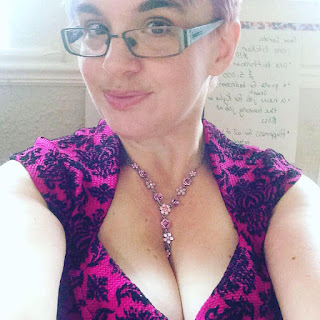 My dreams of endless skin to skin, of breastfeeding, of taking my baby home shortly after birth was totally in tatters, and I wasn't prepared for what was to come, but how can you prepare? I still find it hard to let go, and that's ok. I do let go, I let Joseph go every day. I let him spread his wings, and I push him too, to discover himself and the world around him. 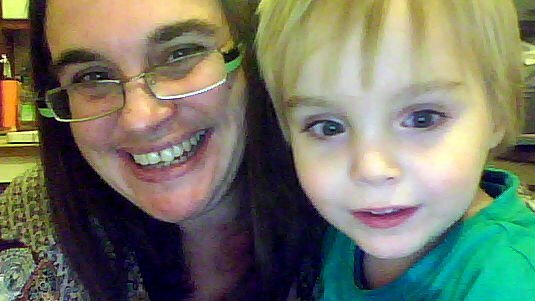 I am proud of me for that because I could have just refused to let him go to nursery or school. I could have opted out of it all and kept him with me all the time. But I didn't. And it's ok that I am still sad about his start, about my start to life as a mother. It doesn't actually dull my parenting experience if anything it makes the joyful times brighter. I have a remarkable young man who is confident, smart, in tune with the emotions of others. A little boy with a quick wit and sensitive disposition. He is a gem and brightens up everyone's day. Would I have been a better mother had I carried him to term? Probably not. Would I have been a better mother without having PTSD however you define it? Probably not. On this World Prematurity Day my challenge to all of you, whether you have a baby on the neonatal unit, had a baby on the neonatal unit or supported or supporting someone who has had an involvement on a neonatal unit, find the joy in the journey. Let go a little of the sadness that binds you to it, and find something to celebrate. Halloween is a time that is really important to me. In Australia the 31st October would come and go. Since having Joseph it's a special time of year. We spent last year in Australia, there was no trick or treating, no costumes and no celebrations for Halloween. All the focus was on my father and celebrating our visit, which I was sure would be the last time seeing him. This year it's different. We are having a Day of the Dead party. There are costumes and a new dress for mummy, lovely food, and plenty of decorating. But this year is extra special, because we have a new member of our family. This beautiful little lady is Shwe Yi. She is 5 years old and lives in Myanmar. She currently attends kindergarten and gets ready for school next year. I have sponsored her and I am really excited to be her sponsor. I sponsor her through World Vision who every year have a #carveaheart campaign. Joseph and I will be working on our pumpkin hearts and will share them with you on Saturday. #CarveAHeart is so simple and here are 3 simple ways to get involved. 1. Instead of a scary face, carve a heart into your pumpkin and light it up, to remind us of all the children for whom every night is one of fear and uncertainty. 2. Text HEART to 70060 to donate £5 to World Vision. 3. Join the Thunderclap to tweet and/or Facebook your support for the #carveaheart campaign. I hope you all have a peaceful and blessed Halloween, and can help to shine a little light on the lives of children everywhere. 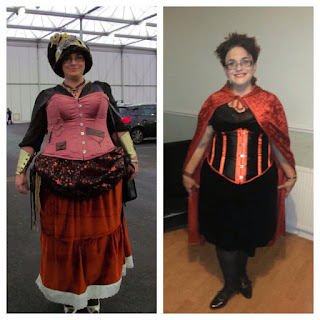 I haven't blogged about my weight loss in ages. 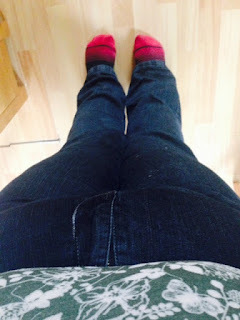 I am plodding away with Slimpod and still really enjoying the process. I can see lots of changes in my body, I am exercising consistently every day, and eating well. The scales aren't exactly reflecting my success so I am leaving them alone for a while. Today I saw a dress in the window of my beloved Thunderegg. It looked completely gorgeous on the mannequin in the window and was quite sure it would look hideous on me. However down the stairs I went to find it. I was slightly heartened when I saw it was Hell Bunny as these dresses work well on those of us with ample bosom and bottom. I chatted to the manager and tried it on. She gasped "you will have to buy it you know" with a grin. I went away and thought about it, then bought it. 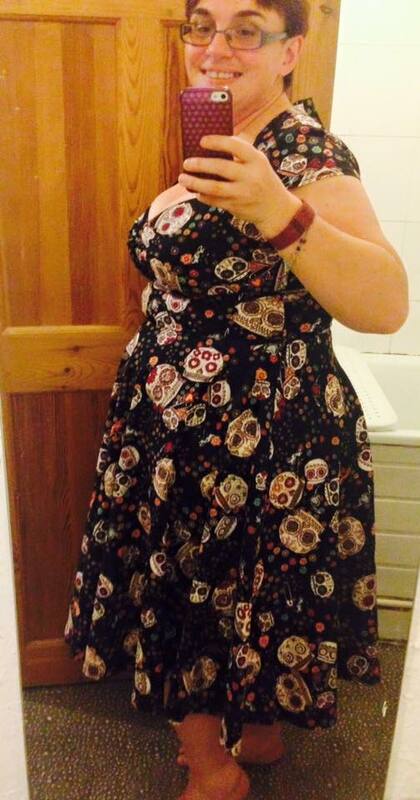 It's just perfect for my Day of the Dead party at the weekend, but will be good for other occasions too. I can see massive changes now from the beginning of the year, my legs are much slimmer and a nicer shape, my arms more toned, my waist much more defined and my bottom firmer. Some girls have to pay money for shapewear to get their dresses to stick out like that at the back! I am just so excited to be so much more slimmer than I was in January, and by next Halloween I will be slimmer again and so on. I know I can do it, it's just a matter of making sure I keep up with these lifestyle changes. And today I went to see a gym! I can't believe it, but just a few steps from my office is a small but perfectly formed gym with a pool for a decent price of £50 for 3 months! I'll be able to swim at lunch time or before work, and keep up with my steps on rainy days, and then dump my membership in summer when I can go on my long walks again after work! No longer do I feel disheartened about my weight loss, it will take time to achieve my goals, but that's fine, as long as I continue to progress that is what matters, not how long it takes. Since I left Australia 13 years ago not a day has gone by that I don't think of you, and since you passed away I think of you more and more. So many of my memories are ones we have managed to make since Joseph was born. That second trip when mum was still undergoing cancer treatment, but you were relatively well is strong in my mind. My favourite memories are you watching In the Night Garden with Joseph, both of you transfixed. And taking Joseph out for meals when he called all food "cake". And you telling him off for riding his suitcase around the apartment in Melbourne, even though the Trunki designers had designated it for that purpose. The last trip, just a year ago, was the hardest one I've ever had to do, knowing it would be, more than likely, the last goodbye. Knowing that Joseph would instantly see how poorly you were. He did a soft giggle when he saw you "he looks like a very old premature baby" and it was true. An ill fitting head to keep you warm, and your oxygen tube. I took Joseph to the lovely craft shop opposite the home and he insisted we buy you a "mucky" a crocheted blanket to comfort you and keep you warm. We made precious memories, taking you for your first walk in your nursing home, showing you the fish, that you could still just make out, and the beautiful sitting room with it's views of the Derwent. I left you baby sitting Joseph under the careful eye of the staff whilst I went out to get things for you. My gentle caring dad until the end. Grieving for you is so weird, as you weren't part of my every day life, but very much still were right until the end. Knowing I could ring you anytime, especially in the middle of the night, it's hard when I wake anxious or lonely and know that are not there. Seeing my brother Chris was weird the other week. He leapt out of the lift at the wrong floor and did a little yelp exactly the way you used to do. Was strange seeing flashes of you through him. Joseph talks about you often. He tells me to close my eyes and imagine you are still here, that you haven't gone, that we can pretend you never died. But you have and it's sad, and I miss you. And 89 is a good age they say, but I don't think you are ever ready to lose a parent. I will miss you until the day I die. This week you wanted to attend your Monster Ball at school dressed as a were wolf. "It's a great costume but you might find it a bit scratchy, there are some other choices over here". No. You were resolute and headstrong and insisted on the were wolf costume. The moment we got to the ball you dispensed with most of it. You responded to me in the style with which I have become accustomed, your intelligence shining as it always does "When will I learn to listen to my mother?" You said earnestly. I smiled gently. "It's not in your job description. Your job is to find your own path, to listen to what I say and do your own thing anyway, and my job is to roll my eyes and sigh at always being right." My son, I carried you for 27 weeks. My pregnancy wasn't fun, it was scary. Every day I worried for you. I minded very much when the medical team said "we must deliver your baby so you do not die". I wanted your safety, your life above all. That's what mothers do. I recall laying my hands on my tummy and saying "it's ok, if it's not your time just go, don't hang on, just let go. You gave me an almighty kick. I took that as a telling off, you weren't giving in. I knew from that day on what your character would be like. Every day I sat by a plastic box. I watched you squirm, pull tubes out, grumble at being messed with. I watched you learn to breathe, to feed. I minded this very much. You should have been inside me, safe and warm, learning all the things you needed to know to survive. It shouldn't have been so hard for you. I minded that my failure to keep you safe meant you had to struggle. I took you home, your dad and I absolutely terrified as we realised the cat was twice your size. I watched you learn to adapt to life with just me and your dad, to the difference in being at home versus a hospital. I worried for you every day. I was scared you would leave me. I was scared I would fail you. I held you and hugged you every day. Every day I would whisper "you can do anything". You learnt to overcome your small size and your coordination problems. You learnt to face the world with humour. I gave you to the world, bit by bit, nursery, then school. I worried they wouldn't understand you. I worried you would struggle, and at times you did. However every day your character became more apparent. "Joseph struggles with maths and English". I smiled and said "try human biology", it worked. Now you are a wonderful reader, your maths is strong, and you demand to be taught physics and chemistry. Keeping up with you is a delightful struggle. Being your mum has been an adventure. I have learnt so much about resilience and hope. About laughter and tears. I have learnt that I have a capacity to trust and love, live and learn that I never knew I had. And I have learnt that being a mother is not a sacrifice. Sure my life is different now but I resent nothing, the path hasn't been easy but it's been an adventure and continues to be. Our friends at Thinking Slimmer have launched a fun challenge, to drop a dress size in 6 weeks. We have been split into teams and I have been allocated to the Apples. To me apples are synonymous with autumn, so that suits me fine. At the moment in a dress I am a size 16-18 however in jeans I am still a 20 so I am going to vary a little and say that by 26th October I will be a size 18 jeans size. Here I am in my size 20 jeans! I do have the Christmas dress to fit into as well but I am saving that for my Christmas goal. If it fits by 26th October then happy days! I have been regularly podding away since March, and am really happy with my progress so far. I have every expectation that the next six weeks will be really fun, and it's always nice to be doing a challenge alongside others. Lots of people ask me about slimpods as I waffle on about them all the time. Slimpods are like a gentle best friend who whispers in your ear "you can do this". This friend wants you to succeed in your weight loss, and to be a happy person from the inside out. It's not a diet, it's not a fad, it's not even rocket science. It's psychology and it's really clever. But for it to work you have to suspend your disbelief and you have to be prepared to learn to trust yourself. That's been the hardest thing for me, to believe that I can trust myself to make good decisions. But I can! I don't need "rules" I know what to do. I do need tools like my fitbit, my friends, my slimpod and my nutribullet comes in handy, but I can let myself make the right choices for my long term health and well being. These pictures were taken exactly one year apart. You cannot deny the changes in my cheeks and chins. I have one now! Not three! This first picture was taken in January, the second a month ago. 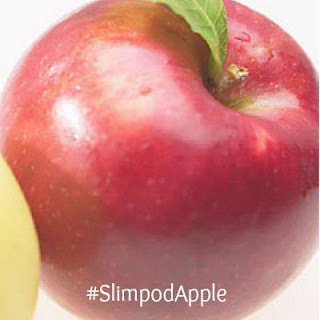 You can doubt slimpod as much as you like, but these pictures speak for themselves. I am happy and confident for the first time in a long time. Real confidence not just fake. I can go to an outdoor gym, I can ride my bike around people, I can run and I can do all this without feeling ashamed. I am me, I am changing and I will look how I dream. Because my new best friend tells me so. I met Zara and her mummy Ije on my travels, and found out that Ije has started a petition on an issue close to my heart. Please read and support if you can. I was born very early on the 5th January 2015, 3 months early. I should have been born on the 6th April. My mummy had to start her maternity leave straight away, as soon as I was born. 3 months working is a long time, she would have had more chance to save and prepare financially, but straight away she had to leave work and start her new job. Having me in the neonatal unit was like a job. My mummy was my most important nurse and caregiver. She had to make my milk, make lots of decisions, say lots of prayers, and take care of the wider family who came over from Nigeria to help. Those months in hospital were really hard, no one really knew whether I would be ok, but mummy, daddy, me and the Lord had an idea all would be well but it didn’t stop it from being very stressful. So now I am home and I am a well and happy baby. When I go to Neomates at the hospital everyone says how beautiful and lovely I am. But I am still very young. I should have been born on the 6th April and its only July now, and mummy has to go back to work. I still have oxygen at night, I still need my mummy lots and lots to feed me and take care of me and teach me things. I am not ready for mummy to go back to work. And my mummy isn’t ready either. My lovely, kind, strong mummy wishes with all her heart she didn’t have to finish her maternity leave now, but when it should have ended, 9 months after my due date. Mummy is working hard to raise awareness of this issue so that other babies don’t have to see their mummy’s go off to work when they still need them very much at home. Whenever I tried to lose weight my only goal was to lose weight. I didn't do specific goal setting. The 12 week focus group made me realise three things. Writing down when you have stuck to them and what results you have seen is amazing. Sharing that with others, the successes and the challenges makes it so much easier and more rewarding. So here is Club Kylie. You will set some specific goals for the next twelve weeks and you will write them down. You can do this on the Slimpod Club post on the private Facebook group. You will break these up into weekly goals. You will write down your positives every day, sharing them when you want to. If you have your own blog you can share them there. You will choose a theme song for your 12 weeks, this is mine! And you will share a piece of clothing you would like to wear at the end of the 12 weeks! So how does that sound? I will do my Club Kylie post tonight see you there! So I have come to the end of my second week of my own Slimpod 12 week challenge. Meh. We all have meh weeks from time to time and this was mine. Meh. Weight 17 stone 0 pounds. No change. Meh. But really I shouldn't feel meh as I had lost 5 pounds the week before which is unheard of and I haven't put any on, so that was a real loss, not water weight etc. So I will just steal 2 pounds from there and average it out! So weight is the same, however my body fat percentage did drop so it's all good. I am falling into perfectionism and setting my self unattainable standards. I have been well over 10 000 steps every day bar one, and that was still a very good day. So well done me. Al in all it's been a great week. Sunday was father's day and we had a pub lunch, I made good choices but ate loads. I also had a meal out with a friend and had chocolate cake. I am being way too tough on myself. I am continuing to listen to my slimpod I think I might need to listen to chillpod a few times this week in order to remember to be kind to myself and give myself a bit of a break. This Monday I am starting Club Kylie in conjunction with Thinking Slimmer and invite all of you to participate! Join me tomorrow to find out more! Yesterday I wrote about how I would love to do a triathlon, partly for my dad, but also for Joseph. He is enjoying getting more active with me, and he definitely does plenty of exercise to balance out his screen time, and I know he will love training with me as he gets older. Perhaps we can even do triathlons together if we get the taste for it. Fat Loss - The biggest barrier to my triathlon success is the amount of stored energy I carry around. So part of my triathlon plan is to just keep doing what I'm doing, maintain good nutrition and exercise regularly and get that down. As my stored energy diminishes further opportunities will become available to me. This is what slimpod does! Makes you feel much more positive about your journey, and reframes it into positive steps. Running - I don't run currently. I am concentrating for the next 6 months on walking distance. I want to get really comfortable with 5k and slowly increase my time. I do a lot of climbing hills to build my cardiovascular strength rather than speed. I will start adding running in but at the moment it's dangerous. I carry a lot of weight and whilst I still have decent joint health I think running will seriously test them. By the end of the year I will start to add more running intervals. Minimising injury risk is important as I have two years to train to do this thing, but I don't want lay offs for injury if I can help it. Swimming - We have our holiday coming up in 4 weeks so I am going to make sure I do some serious swimming then and on return I will start swimming a few times a week, building up to every day in winter when walking will be less appealing. I will start with pool swimming then next May will start outdoor swimming when the season starts so I will have a few months of outdoor swimming training and practice under my belt. I would love to try outdoor swimming now but I very much doubt I will get a wetsuit to fit and will feel better if I have less stored energy on my body when I am in a wetsuit. Cycling - Currently my weakest point biggest area for development and success, I don't ride at all at the moment. My husband has already talked about buying me a bike and getting Ursula (our car) fitted with a bike rack. We have oodles of off road cycle paths near our house, so I know I have everything I need to start cycling and build proficiency before July 2017. I plan to join a triathlon club to get some support and advice and maybe meet some other people who are total novices, after all we all have to start somewhere, even if we are the wrong side of 40 and slightly out of shape! I will at some point invest in some personal training as well, but at the moment I am happy just to chip away at the stored energy, look at investing in my bike and enjoy swimming. This was the last moment I saw my father. My mum and Joseph had already gone to the car ready to drive us to the airport. Dad was so excited to be having a selfie. I kissed him goodbye, knowing this would be the last time I saw him. We had already discussed that I wouldn't return for his funeral. When dad died in January it wasn't a shock or surprise. But it was and is devastating. My dad was always there for me. It was him that gave me a lot of my strength, certainly my humour and I think my love for children comes from him too. Just the day after he died I had my regular doctor's appointment and that appointment I told the doctor I wanted to work on my weight. You see dad had type 2 diabetes, mum does too, and neither of them are or have ever been morbidly obese. Dad died at 89 after having a reasonably healthy life although with some serious co morbidities. The doctor wanted to refer me for bariatric surgery and my brain and heart screamed no. I know for some it's the right thing, but I was seriously worried if I didn't work on my reasons for being fat I would cheat the surgery. I used to be a very bad comfort eater. 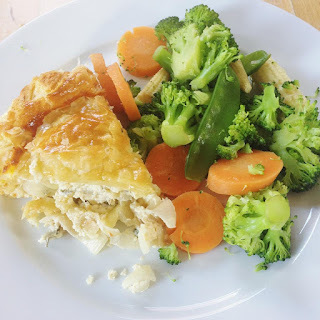 My meals have always been healthy, I've always been fairly active, but medicating my feelings with sugar got me into this mess, and even with surgery I could still have resorted to that. Which brings us to the point of this post. 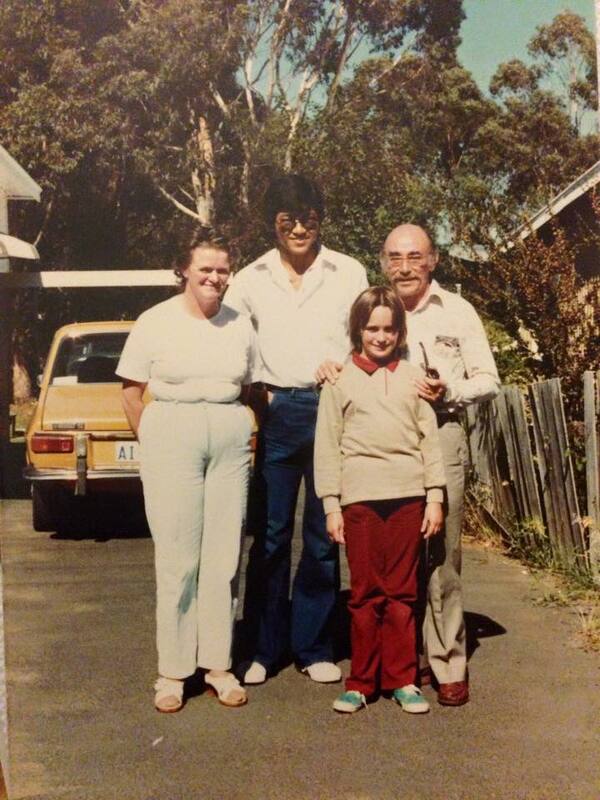 Here I am around 12, with mum, dad and Kang, one of our dear Malaysian host students. Kiat and Kang were like brothers to me. I am delighted to still be in touch with Kiat through the magic of Facebook. My dad taught a very frightened young girl to swim. In fact over the road in mum's best friend's backyard, and then pools and the beach. I am a confident, strong swimmer. Slow but good at distance. I love to swim anywhere and everywhere. He taught me to ride a bike. This took ages. My balance and coordination aren't great. Nobody knows why, it was suspected I had some form of cerebral palsy when I was little I think nowadays I would be diagnosed with dyspraxia but no matter. I manage very well and eventually learnt to ride a bike. However I never got truly confident. My plan is to do a traithlon. Not now in 2017. I want to be a healthy weight, I want to be strong, and I want to finish in the middle, not last. So that means some serious long term training. I would welcome any advice, especially on cycling, as I currently don't cycle and know that I need to start soon in order to build my confidence and ability in this area. So dad, your daughter will compete in her first triathlon in July 2017, hopefully either Llandudno or Chatsworth House. How's that for a goal? The week that was with Slimpod! Let's start with the scales. So I went to my beloved Boots for weigh in yesterday. I jumped on the scales looked down and thought "really? no can't be right"
Weight: 17 stone 0 pounds 108 kg (I'm gonna ignore the 0.3 lol) I take two off for my GPs official weight as their scales are 2 kilos different. But 108 kilos. 12 kilos down from Christmas. That's an average of 2 kilos a month or 4 pounds. I am more than happy with that! Exercise: I am so happy with my step count this week I will set it out here, so I can reflect on it and see where I can increase it a little this week. Friday included equivalent of 124 flights of stairs as I walked up Holcombe Hill. I'm in a good routine with walking in the week. I do 5000 steps before work 2000-4000 at lunch time and usually a walk after work. As well weight loss I have noticed my stress management vastly improving and my general well being is much better. I have always had days where I walked a lot but now every day is a good day for walking. Exercise goals: I have signed up for two races. The 5k Cancer Research UK in July and the 5k Elelectric Run in September. I really want to do Tough Mudder, but I have decided that's a goal for next year. The other thing I want to do is increase my swimming, but I am going to hold off until the weather gets revolting and replace my morning walks with a swim. I think that's sensible. I have also decided to ask Father Christmas for a bike so I can start bike riding next year. We can see where this is headed, wait for the blog post on that one! Food: My nutribullet is now firmly part of my routine. I have a smoothie ever morning. 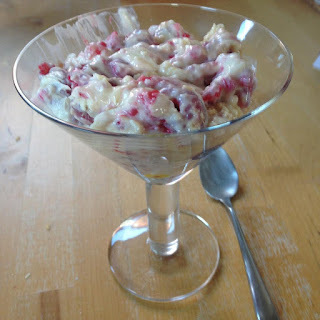 Generally they consist of 30-40% veggies 30-40% fruit, some seeds and nuts and topped with non dairy milk. These keep me satisfied til lunch time and help fuel my exercise. I am not snacking mid morning at all. I am drinking water and herb or green teas during the day. Lunch is either a salad from home or crudities and a homemade dip, or I get a salad and soup from our friendly bicycle delivery lady at work who has recently started. I love her salads as they don't have dressing and they're really fresh. My dinners vary, but my portion sizes have vastly decreased. I no longer need something sweet after meals, and occasionally have chocolate in the evening especially if I notice I have exercised a lot and not eaten a great deal. My diet is quite low carb. This isn't a conscious thing, I don't fancy bread at all at the moment, or pasta very often. I do have some grains but not loads, it's just a matter of listening to my body. I did have bread yesterday on my 20k walk day as my body asked for it. It's clearly working so I am just letting my body ask for what it wants. This is really new for me and exciting. Food challenges this week: There was only one, a bring a plate lunch at the London office. I just totally relaxed about it, and found there was oodles of healthy choices. I had a small plate of salad and that was enough. However sweets were a challenge. My office is legendary for cakes and treats. I have decided in terms of sweets I am only eating homemade not commercial and only if something looks really appealing. There was a container of gulab jamun made by one of my colleague's Indian aunties. I couldn't say no, so I had it, enjoyed it, felt a huge sugar rush that scared me, and that was enough. It's really nice to be about to have a treat as a treat and not feel compelled to eat more just because it's there. On Thursday one of my friends brought some Twirl sharing chocolate to work, and I said no. I felt really rude, but I'm not eating dairy at all really apart from the odd bit of cheese and I knew it wouldn't make me feel good, so I just said no. I am really proud as it's the first time that situation has happened and I dealt with it easily. One bit of Twirl isn't going to make a difference to anything, however it's the pattern of behaviour I need to change, and I have. And I'm really proud. Non scale victories: I've got a huge pile of clothes that need to go to the charity shop. I tried on a dress for my upcoming holiday and it's a tent, so i am going to attempt a refashion into a skirt and top. I feel amazing about the changes. When I walked into the office in a loose size 18 dress everyone stopped and looked. I look different and I am proud of that. I was nervous about losing my team of slimpodders, but I know I can do this and I have all of you supporting me for which I am so grateful. Charting my weightloss on Instagram has been amazing. I have so much support and love out there I know I will do this! So a huge thank you to all of you.